Politics and gaming intertwined on what seemed like a weekly basis in 2016. The casino industry’s biggest names took center stage in the highly dramatic political theater. Investigations and scandals added drama to the 2016 presidential race, and some of Las Vegas’ richest leaders were right there every step of the way. As the year comes to a close, let’s look back on the contentious last 12 months in politics and gaming. Republican Donald Trump is set to become the 45th president of the United States on January 20, 2017. His road to 1600 Pennsylvania Avenue was certainly not conventional. His Democratic challenger Hillary Clinton was the 2016 favorite at overseas sportsbooks throughout the campaign. Prediction markets gave her a more than 80 percent change of winning the White House. Trump was engulfed in arguments almost from day one of his presidential campaign. His controversial remarks came one after another, but Clinton was also surrounded in scandal. The FBI took nearly a year to investigate whether Clinton’s use of a private email server during her time as US secretary of state warranted criminal charges. In July, FBI Director James Comey announced Clinton did indeed have classified information on the unsecured server, but didn’t feel criminal charges should be brought. 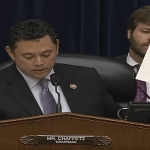 US Rep. Jason Chaffetz (R-Utah), the author of the anti-online gambling bill RAWA, the Restoration of America’s Wire Act, grilled Comey on his recommendation during a House Oversight hearing. The email server, and Comey’s subsequent reopening of the investigation in October, cast shadows over Clinton’s campaign and gave Trump a fighting chance. He armed his campaign with his billionaire casino friends. Las Vegas Sands Chairman Sheldon Adelson and his wife Miriam donated roughly $100 million during the 2012 election, and this year they once again opened up their vault. Worth upwards of $30 billion, Sheldon’s first pick, like so many others on the GOP side, wasn’t Trump. Adelson was rumored to prefer Florida Senator Marco Rubio. 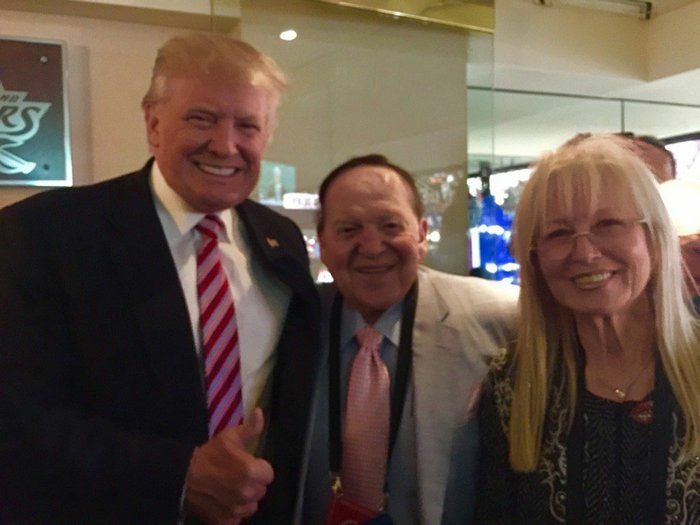 But as Election Day neared and Clinton’s race for the Oval Office swerved off course, Adelson stepped in. In October, he dumped another $25 million into a super political action committee to run last-week Trump campaign ads. 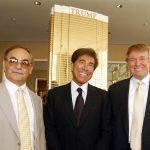 Treasure Island and New Frontier owner Phil Ruffin also flashed his billions for Trump. He spoke at the Republican National Convention and talked openly about why he believed Trump was the best candidate for America. Carl Icahn closed the Trump Taj Mahal in Atlantic City in 2016, but that didn’t stop him from supporting his longtime friend. 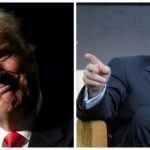 MGM CEO Jim Murren was the lone Vegas boss to go against Trump, at least publicly. “Few presidential candidates are as prepared for the job as Clinton,” Murren opined in August. Of course, America disagreed with Murren on November 8. In less than three weeks, the former casino owner becomes president.